Enables storage of a variety of items in one binder. 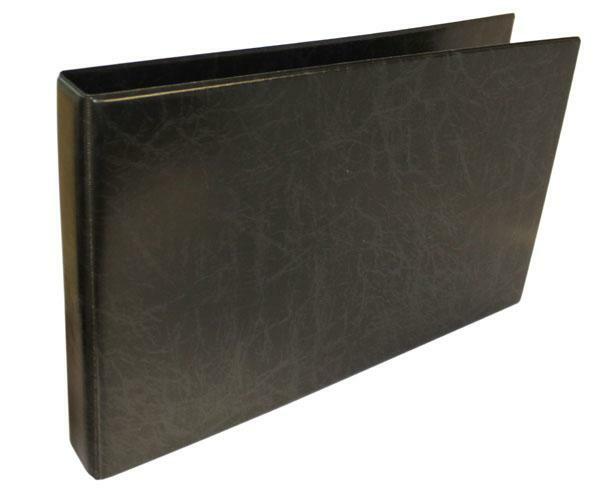 Landscape, four O ring, heavy grained, padded PVC binder. All the following pockets will fit this binder: Certificate, A3, A4, A4 Landscape, Square and A5 pockets. Will hold up to 50 pockets.